The term of political repression implies violence carried out by state authorities against certain categories of citizens in order to protect and maintain the existing system. On the territory of Soviet Belarus political repression was launched immediately after the October Revolution in 1917 and continued almost until the fall of the Soviet regime. Mass political repression was carried out during the reign of Stalin (end 1920-ies – early 1950-ies). The peak of repression, called “The Great Terror”, took place in the years 1937-38, when hundreds of thousands of people were arrested and convicted with regard to NKVD cases. Why did the repression occur? Repression is an inalienable feature of any totalitarian society. In the USSR, the repressive apparatus was used for maintaining the Soviet regime, suppressing nonconformity, creating the illusion of a full approval of the government by the people. The Bolsheviks initially headed for terror, which allowed them to win the civil war and seize the supreme power by eliminating political opponents. The pragmatic function of repression was most clearly revealed during Stalinism, when punitive agencies became an important tool of Stalinist social engineering. But even after the death of “the guide of the peoples” the repressive system continued to play a key role in maintaining the totalitarian regime in the country. Why should we remember about the repression? Soviet political repression was of a wide-scale nature and often led to conviction and imprisonment or even physical destruction of citizens only for “improper” political views or “wrong” social origin. In Belarus the representatives of all sectors of society suffered repression, from cultural and political elites, who were accused of bourgeois nationalism, to repression against peasants during collectivization. However, in our country we still haven’t paid tribute to the victims of repression, the history of repression in BSSR hasn’t got enough coverage in historiography, there’s no national museum or a separate exhibition in present-day Belarus that would comprehensively and objectively tell about the history of Soviet repression. Why do we need this museum? 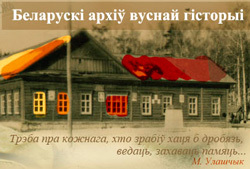 The main purpose of the initiative group of the Virtual Museum is to preserve the memory of Soviet repression. First of all, our work is aimed at recording and preservation of the victims of repression’s memories, the search and collection of material evidence revealing the criminal actions of the Soviet repressive machine. The aim of the museum is also the distribution and bringing to the public of the gathered knowledge about tragic events of our past. Since 2007 we’ve been collecting materials: recording audio and video interviews with the victims of the Soviet system, copying documents and photos. Now we want to share it all with you! 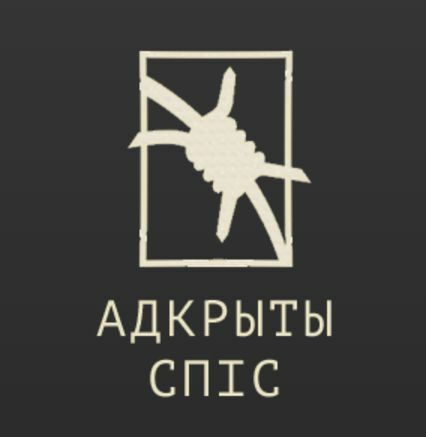 The Virtual Museum of Soviet repression is a civil non-profit initiative, open to all interested in studying Soviet period in the history of Belarus. We organize meetings with living witnesses of Soviet terror, arrange excursions to places associated with political repression in Belarus. For any questions please call: +375 (29) 571-26-11 (Valeria); +375 (29) 38-346-38 (Vladimir). We will be glad if you join us or share the story of your family. Write at info@represii.net and share your ideas!